Hardly anyone can say no to a good bowl of pho, essentially a simple bowl of bone broth with a swirl of rice noodles topped with beef slices, Thai basil leaves, coriander and raw bean sprouts, this bowl spells total comfort—especially so on a cold, rainy day or after a boozy night out. Despite its unclear origins, it can be considered Vietnam’s treasured national dish. Since the days of the Vietnam War, Pho has spread far and wide across the globe to be enjoyed by many, but there’s definitely something about having it in its home country that makes it so much better than at anywhere else. To only have a single bowl of pho during a vacation to Vietnam is a downright atrocity. The popular street food is the core staple of Vietnamese cuisine and is literally what going to Vietnam’s all about—for us anyway. Stumbling upon a rather unassuming eatery by the street going by the name Pho Hai Trieu, we were lured in by the bold aromas of simmering meat broth and freshly stir-fried delights, as well as a team of friendly wait staff who were eager to sit us down. Specialising in an assortment of chicken dishes, pho and hearty soups, this humble eatery may not seem like much at first, but it really does impress with its wide array of menu offerings—especially their chicken dishes. While pho, spring rolls and banh mi are great, they aren’t all that Vietnam is good for. In fact, there is way more depth and complexity to their cuisine than just rice noodles and French baguettes. 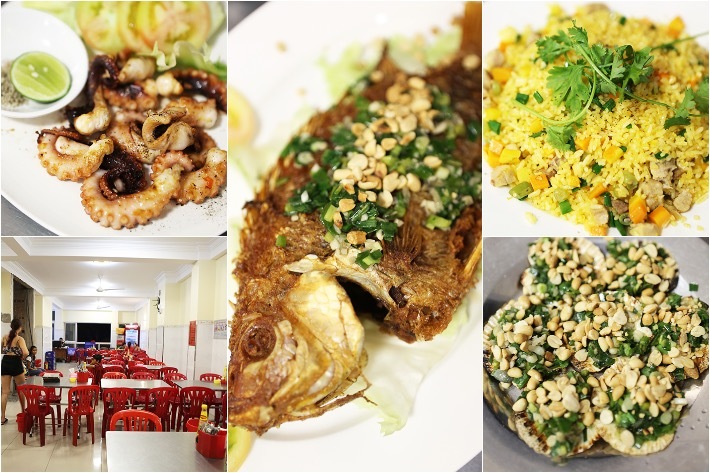 Tucked away along a quiet street in Ho Chi Minh City’s District 1, lies 33 De Tham Restaurant—a 3-storey seafood restaurant that simply wowed us. Specialising in zi char-style cooking, their menu boasts a wide range of delights ranging from the usual to the exotic, of which you can choose to have fried, steamed, barbecued and even as part of a hot pot. Their range of seafood is phenomenal and not only is the quality topnotch, the price is unbelievably affordable as well—we ordered up a pretty wicked array of items and barely felt a pinch. A popular haunt among expatriates and tourists, here is why you need to dine at 33 De Tham Restaurant when in Ho Chi Minh City. Walking down the streets of Ho Chi Minh City, one might find it a challenge to identify exactly which pho stall is truly the best especially with the sheer amount of street-side stalls, food stands and restaurants selling it. 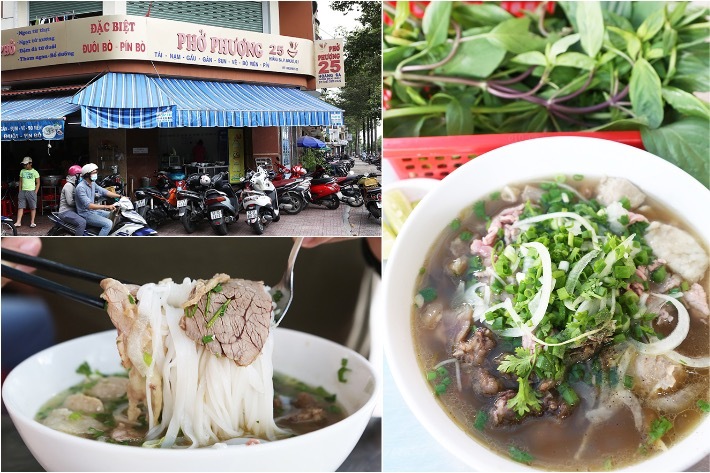 But perhaps one of the best and most highly recommended pho places in Ho Chi Minh City to visit is Pho Phuong 25 in District 1. Having heard so much praise being sung by both locals and tourists, we did not hesitate to pay this humble corner stall a visit—we were far from disappointed. 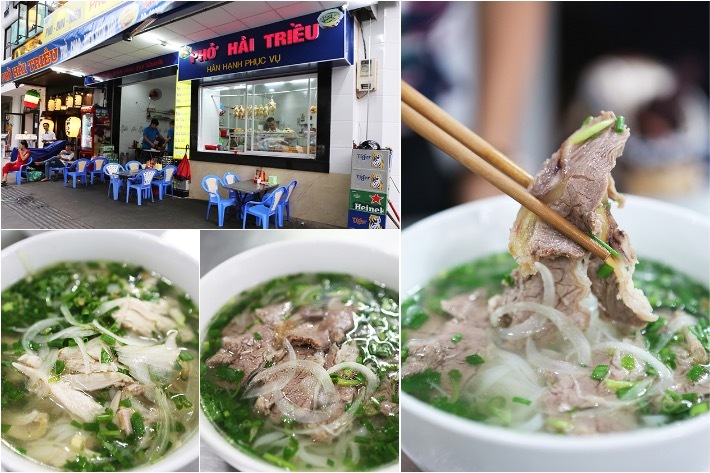 For a truly authentic and out-of-this-world beef pho experience when in Ho Chi Minh City, you really have to drop by Pho Phuong 25. When visiting Ho Chi Minh City, no one ever leaves without paying the acclaimed Lunch Lady a visit. 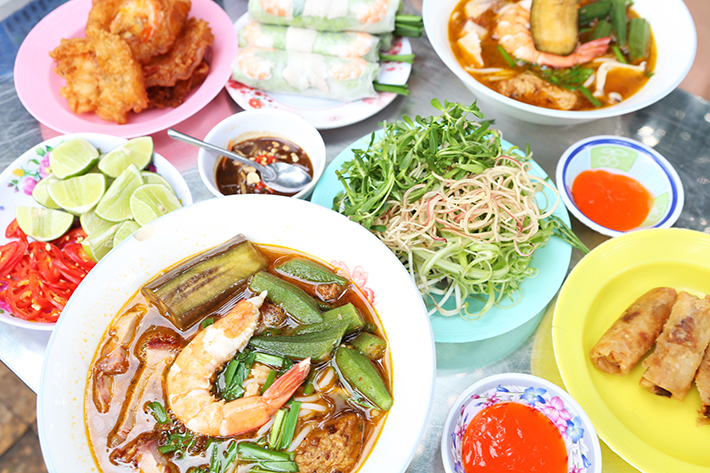 This internationally-renowned street food stall—located just a few steps away from popular pho joint, Pho Phuong 25—is famous for their down-to-Earth, rustic charm and menu that rotates daily. The stall made its mark less than a decade ago after the late, great Anthony Bourdain visited them as part of his food programme, No Reservations. Until today, Lunch Lady is still highly patronised by locals, tourists, as well as food bloggers from around the world—like us. The humble stall is owned and run by Ms Nguyen Thi Thanh, also known as the Lunch Lady. 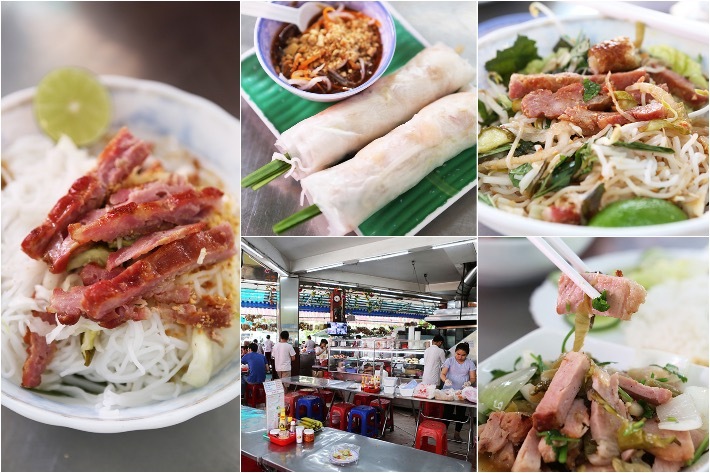 An international street food icon, her modest stall in Ho Chi Minh City’s District 1 is packed daily and for good reason–her food is truly out of this world. Period. Vietnamese food is one of the best things in Asia. 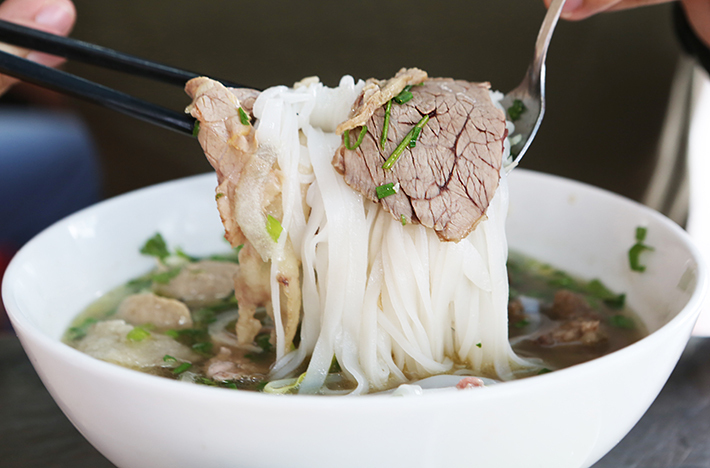 From fresh spring rolls to a comforting bowl of pho, Vietnamese dishes are distinct and highly addictive. Due to Ho Chi Minh City’s sizeable Muslim population, halal Vietnamese food is not too difficult to chance upon. In fact, in the touristy district of bustling Ben Thanh, you can expect to see a string of eateries that are either owned by Muslims or are halal certified. Embrace the authentic Vietnamese streetside experience and dig into tantalising Vietnamese food as you saunter around the bike-congested lanes. 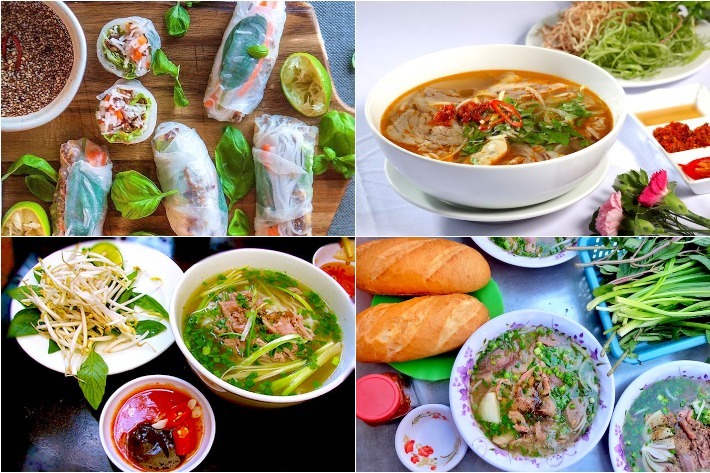 If you are having trouble trying to decide where is a good pit-stop to indulge in some Vietnamese grub, turn to this list of restaurants that will whet your appetite pho sure. 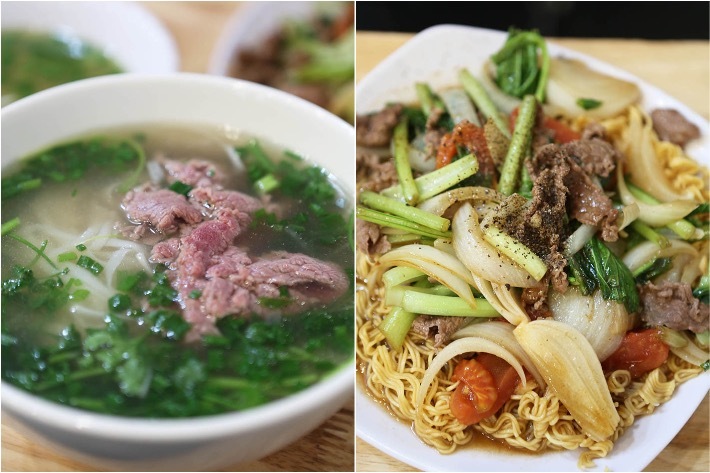 Here Are 6 Halal Restaurants In Ho Chi Minh City To Satisfy Your Vietnamese Food Cravings.